Dipankar Das Sarma, 28 October 2015, 14h. Plasmonic sensors include surface plasmon resonance (SPR) related phenomena on metallic surfaces. SPR sensors based on extended SP waves are a mature technology for more than two decades now, however recent investigations show continuous enhancement of their sensitivity and their lower detection limit. Together with the recent investigations in localized SPR (LSPR) phenomena, extraordinary optical transmission through nanoapertures in metals, and surface enhanced spectroscopies, drastic developments are expected to revolutionize the field of optical sensing. It is shown that in the majority of cases the sensitivity enhancement is associated with the enhancement of the electromagnetic field (EM) overlap integral describing the electromagnetic interaction energy within the analyte. This means the enhancement is achieved by enhancing the EM field at the metal-analyte interface, increasing the interaction volume for example by increasing the penetration depth or by using porous materials. The detection limit on the other hand is determined by the sensitivity and the precision of the system, hence in addition to sensitivity improvement one has to take care also of the improvement in the system precision. Examples will be presented starting from the well-known Kretschmann configuration through the addition of high index dielectric thin film to the metal, the addition of gratings, the use of nanoSculptured thin films (nanoSTFs) and enhanced transmission of nanoslits. Special attention will be given to nanoSTFs which are assemblies of shaped, parallel and tilted nanorods, prepared using many variants of the basic Oblique Angle Deposition (OAD) technique. Because of the special shapes and nanoscale dimensions of STFs, they exhibit a great potential in the SPR biosensing field. For the improvement of the detection limit a divergent beam imaging approach was developed which improves the precision of the angular interrogation technique by more than an order of magnitude. Combination of the addition of nanolayer and longer wavelength is shown to improve the figure of merit and allow detection of bacteria cells in water. 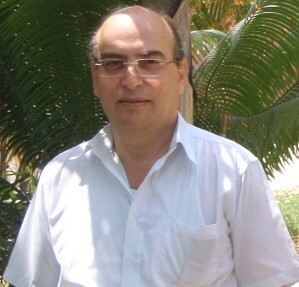 Ibrahim Abdulhalim is a professor in Electrooptic Engineering at Ben Gurion University. He worked in academic institutions and companies such as the OCSC in the University of Colorado at Boulder, the Optoelectronic Research Center at Southampton University, the Thin Films Center of the University of Western Scotland, in industrial companies ranging from optical metrology to optical communication such as: KLA-Tencor, Nova Measuring Instruments and GWS Photonics, His current research involve: nanophotonics and plasmonics for biosensing, optical imaging techniques and liquid crystal devices. Published 160 articles, 2 books and has over 15 patents. He is a fellow of the Institute of Physics and the SPIE and an associate editor for the Journal of NanoPhotonics.